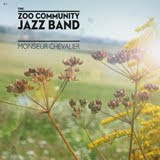 Looking for a unique Christmas gift, something that has been lovingly crafted with a large helping of wit and charm? Well stop looking we have just the thing for you. 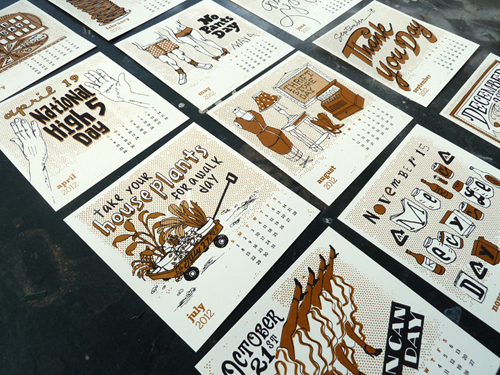 The Calendar Of Silly Holidays by Brooklyn-based designer, illustrator and screen printing fanatic Annica Lydenberg is just brilliant. It's the fifth year in a row that Annica has produced her quirky calendar featuring the most absurd non-denominational holidays she can possibly find and we are just sorry we didn't find her sooner. 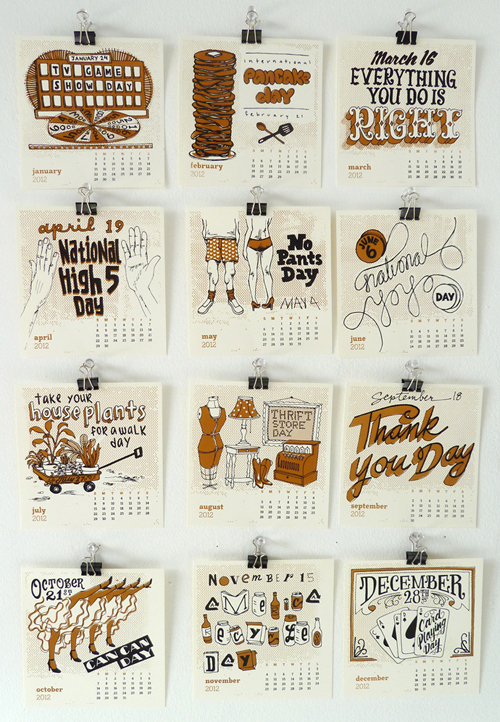 Annica uses these strange sometimes daft holidays as inspiration and then hand draws type and illustrations for each month. 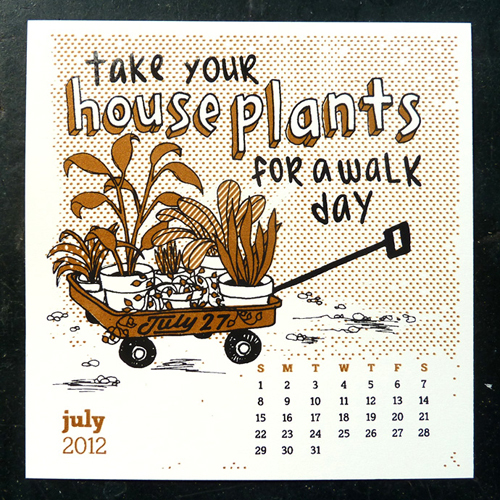 This year includes such new favorites as No Pants Day and Take Your Houseplants for a Walk Day. We hope you'll all be taking part in those! 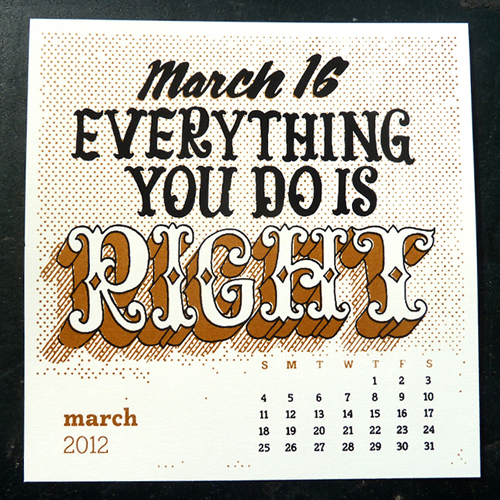 Past calendars have featured some crackers too including our personal favourite, Stupid Question Day. 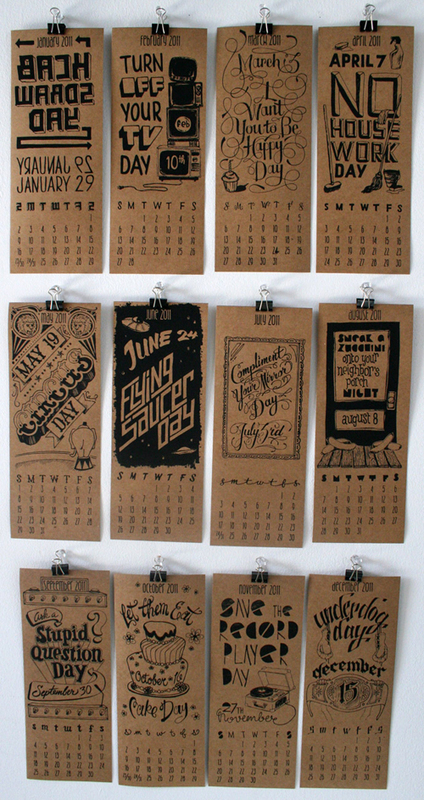 You can buy The Calendar of Silly Holidays and other great work via Annica's etsy shop, what are you waiting for, this is the perfect gift.